Body-mapping lines in a stretch-infused, performance wicking fabric with just-right baby stripes—this long-sleeve hooded shirt is the ultimate layering piece for active days in any season. The UPF 40 Layer First Hoodie will protect you from the sun during long hours outdoors, breathe and wick sweat when you’re working hard, and feel and fit great through it all. 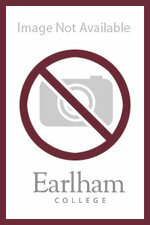 Women's grey polo shirt with "Earlham College" in maroon letters. Women's Nike black and white shorts with "EC" in white letters.